The city of Florence is in distress. Lorenzo de Medici , the city’s great patron, is dead. His son is not as strong a leader, and a great threat rises among the people. Friar Girolamo Savonarola, a religious fanatic and a master manipulator of the masses, gains more and more power with every day that passes. The people are divided, some becoming his followers, others opposing. But no one is safe. Among all the chaos, a group of fearless women stand their ground. Da Vinci’s Disciples, the women that have made impeccable art for the past years in Florence, are not just going to let Savonarola destroy the precious artworks of the capital of Renaissance. Lead by the fierce Vivianna, they will put mind and heart to the cause of saving whatever they can salvage from the grasp of the evil friar’s followers. The Flames of Florence is a very interesting, beautifully written historical fiction book. Surprisingly accurate in its historical facts, it is very obvious that the author put a lot of effort and research into creating a realistic setting for the story. The author describes the heart of the Renaissance world perfectly, and the reader is instantly submerged into another world. However, the book’s greatest asset would probably its characters. Women of great strength and intelligence strive to do something that, in that time and era, was only done by males. Donna Russo Morin creates a wonderful tool of women empowerment by describing in-depth characters that can stand alone, relying on their own abilities, and are not dependent on male figures, while at the same time portraying whole families that work together, regardless of gender, for a great cause. 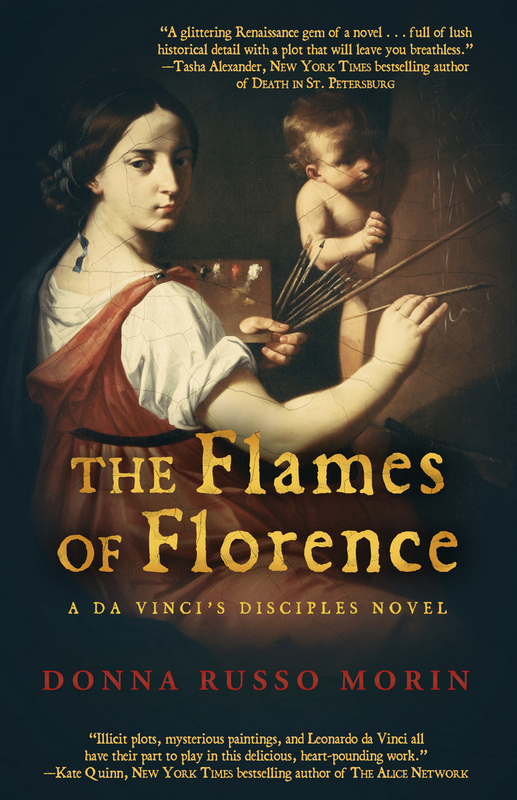 The Flames of Florence is, in its entirety, a very interesting story, that doesn’t let the reader get bored. Part , and last book, of the Da Vinci’s Disciples trilogy, it stands perfectly well on its own, thus giving the readers the chance to read it even without having read the previous two books. Next PostNext “Come back to the swamp”…and I dare you not to get scared!